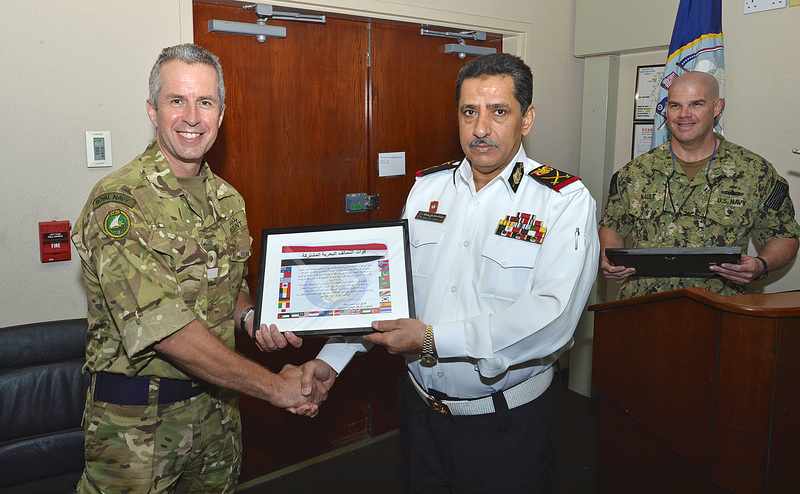 Following Yemen’s official acceptance of membership to the Combined Maritime Forces (CMF) in December 2013, the Commander and Deputy Commander of CMF welcomed senior naval representatives from Yemen to CMF’s headquarters in Bahrain, on the occasion of their inaugural visit. Vice Admiral John W. Miller, Commander, U.S. Naval Forces Central Command, U.S. 5th Fleet, Combined Maritime Forces said: “The skill and regional experience of the Yemen maritime forces – consisting of the Coast Guard, Naval Forces and Costal Defence – adds a significant and valuable resource to CMF and we are very pleased they have chosen to become formal members of CMF. Major General Abdullah Salem Abdullah, Commander of the Naval Forces & Coastal Defence and Brigadier General Tawfik Al-Keiz, Deputy Chairman, Yemen Coast Guard received briefings on current operations by each of CMF’s three task forces – CTFs 150, 151 and 152 – and met headquarters staff and many of the Senior National Representatives from many of CMF’s 29 other member nations. Vice Admiral John W. Miller, Commander, U.S. 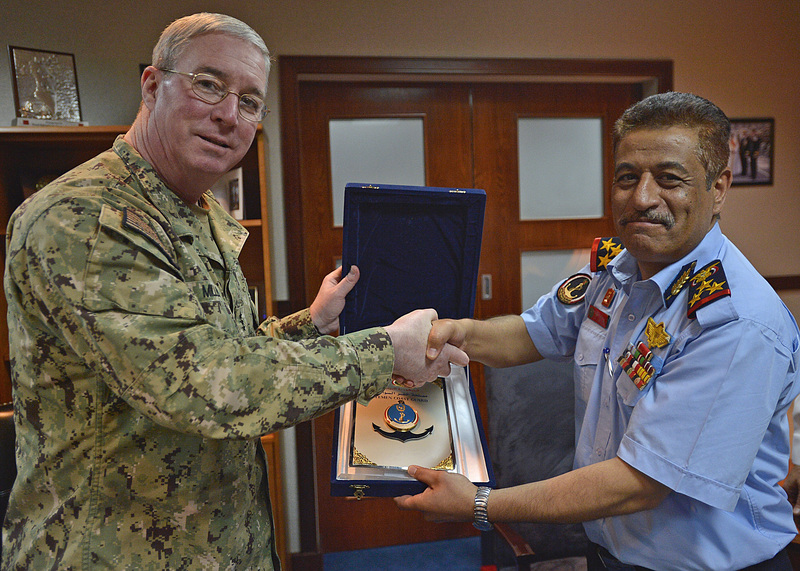 Naval Forces Central Command, U.S. 5th Fleet, Combined Maritime Forces exchanges gifts with Brigadier General Tawfik Al-Keiz, Deputy Chairman of Yemen Coast Guard. The visit served to further strengthen and enhance the relationship between CMF and its newest member Yemen, which has existed informally for a number of years.